While many have heard of the epic pipeline battles against Keystone XL and Dakota Access, they may not realize that battles large and small against pipelines have spanned communities across the nation. Just this week, we heard reports of a heroic Theresa “Red” Terry taking a stand in a tree, on her own property, challenging construction of the Mountain Valley Pipeline through her family’s lands in Virginia. State troopers join county police at the base of the tree, waiting to arrest Terry the second she is forced down due to lack of food and water. At the same time, the pipeline company is in court urging a judge to declare Terry in civil contempt of the law and to direct U.S. Marshalls to remove her and other tree sitters blocking construction. Across the country, protestors are standing against pipelines large and small. In almost every instance, they find themselves facing local law enforcement, often armed, siding with industry over people, an industry that is seeking to strip protestors of their constitutional rights to freedom of speech and assembly. Last October, people arriving at the Otis State Forest for a prayer in protest of Kinder Morgan’s Connecticut Expansion Project pipeline found the Massachusetts State Police already on site. According to the unarmed protestors, the state police were quick to react and arrest. The protestors later discovered that the pipeline company was providing the state police with payments, nearly $1 million through October 2017, to cover costs associated with their responses at the project site. 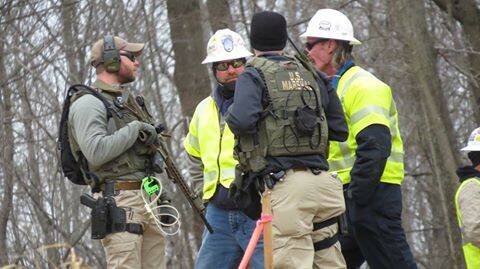 In Janaury 2017, when the Hollerans and supporting friends and neighbors protested the taking of their land by eminent domain for construction of the Constitution Pipeline they found themselves face to face with U.S. Marshalls armed with AR-15s. 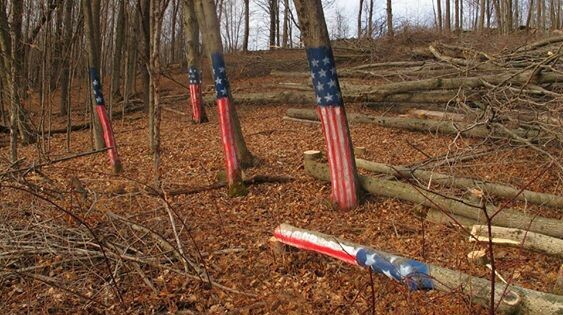 Eminent domain would allow the Constitution Pipeline Company the right to clear trees from the Hollerans’ farm, including the sugar maple forest the Hollerans have been tapping for decades for their family business. Among the Hollerans’ challenges to the destruction was the fact that the pipeline company had not received all of its permits. The marshalls and the courts sided with the industry, the Hollerans’ maples were cut down and their family lands were taken. Months later the pipeline project was denied state permits, and now may never be built. The destruction was for naught. In Florida protestors have been challenging construction of the Sabal Trail pipeline since 2013. In addition to the taking of property rights by eminent domain and the environmental destruction inflicted by the pipeline in service to the dirty fossil fuel industry, they have protested the failure of the government to consider the climate changing impacts of the project. They were proven right in their concerns when a U.S. District Court of Appeals ruled the government had in fact failed to give due consideration to the climate changing emissions that would be released as a result of the project and ordered another look. 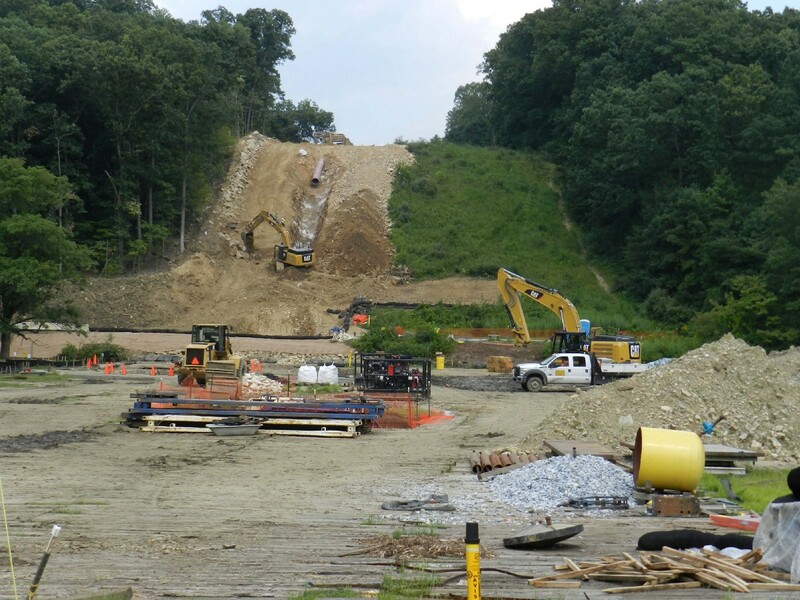 In 2014, when the government and the Tennessee Gas Pipeline Company were told by advocates and protestors that they were violating federal law by segmenting the NorthEast Upgrade Pipeline into little pieces for government review in order to hide the true scope of the harms that would be inflicted, the public was ignored. By the time a U.S. District Court of Appeals ruled that the public was right and the government was wrong — that federal law had in fact been violated — the project was fully constructed and in the ground. 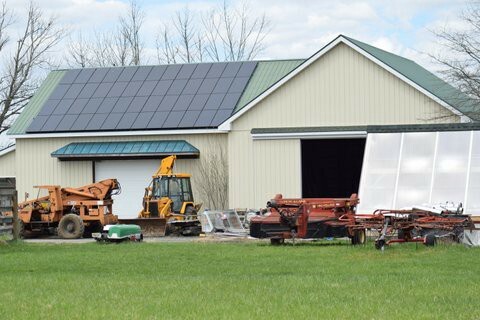 In New York State in 2017, protestors challenged construction of Competitive Power Ventures’ fracked gas power plant in Waywayanda and the pipelines that would feed it. Yet again the protestors were right. Not only will these projects increase dependence on dirty fossil fuels, harm our environment and exacerbate climate change, but the approval of the power plant by New York officials is in the center of a corruption scandal. A proven quid pro quo led to approval of the controversial project with a top aide to Governor Cuomo being found guilty of corruption. The permits should never have been granted. In every one of these cases, had government listened to the protestors, they would have avoided irreparable harm and illegal acts. In addition to the actions of law enforcement, states are proposing and passing laws intended to silence communities, strip them of their constitutional right to speak out in the face of injustice, and prevent their non-violent protests against pipelines and other social justice issues. In just 2017, North Carolina, North Dakota, South Dakota, Oklahoma, and Tennessee passed legislation attempting to quash public protest and free speech, including those speaking out against the construction of unwanted and unneeded pipeline infrastructure. Under these laws, penalties for protest include years in prison and thousands of dollars in fines. Not only do the laws apply to people exercising their free speech rights, but they can also apply to journalists seeking to report on the protests. 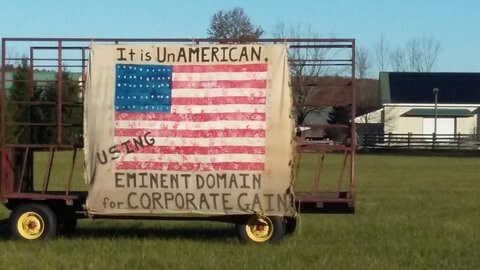 The un-Amerian agenda is being advanced by pipeline corporations, conservative think tanks, and pro-fossil fuel politicians, and it’s showing no sign of slowing down. According to the National Lawyers Guild, 58 anti-protest bills have been proposed in 31 states as of February 2018. President Trump has jumped into the fray with his support — both in using his words to lambast protestors, but also issuing Executive Order 13809 reinstating a program to transfer surplus military equipment to police departments across the country, providing access to these tools of war that can be used in response and reaction to nonviolent civil protest. When it comes to dirty fossil fuels, government needs to start listening to the protestors and stop trying to silence us. Our climate is changing, and dirty fossil fuels are largely responsible. If we want to protect future generations, we need to get on a clean energy path, today, immediately, NOW. For those whose focus is closer to home, extreme energy practices are transforming our once safe residential communities and public lands into unhealthy and polluted industrial landscapes fraught with increasing perils to our daily lives. Every pipeline brings with it a cut across the landscape. Farms, forests, residential communities, pristine waterways, and productive wetlands all must give way when a pipeline comes through. Property owners who don’t want to host to a high pressure pipeline that could explode, harming their families, have no choice in the matter when we are talking about interstate pipelines regulated by the Federal Energy Regulatory Commission. That is because as soon as FERC approves such a pipeline (pretty much a foregone conclusion given that FERC’s commissioners have only said no to one pipeline ever), the pipeline company gets the power of eminent domain and is legally allowed to force their pipelines on unwilling homeowners. 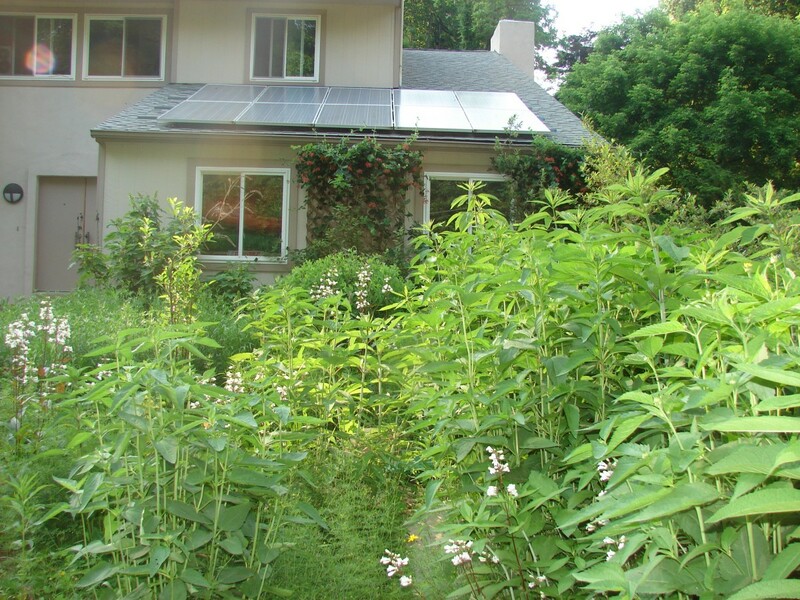 For Carla in New Jersey this means that while she has solar panels to power her home and farm, she will now be forced to host to a fracked gas pipeline from which she will never benefit. On April 29, 2016, James Baker was at home in Salem Township, Pennsylvania, nursing an ankle injury. Shortly after his wife left for work, his house exploded. Literally exploded. James couldn’t maneuver too quickly, but he managed to hobble outside. A Good Samaritan spotted him from a distance and dragged him away from the nightmarish scene. James’s clothes were burning, irreparably damaging his skin. Toxic smoke he inhaled caused his insides to burn as well. He suffered extensive damage to every part of his body. We need a sensible and sustainable energy future, one that puts America at the forefront of developing and constructing sustainable energy technologies like solar, wind, and geothermal. We need to support the next generation of energy technologies created from home-grown thinkers right here in the U.S.
And we need to respect the right of people, here in the United States, to speak up and speak out when they see environmental and social violence being unfairly inflicted on themselves, their friends, their neighbors, and our nation.